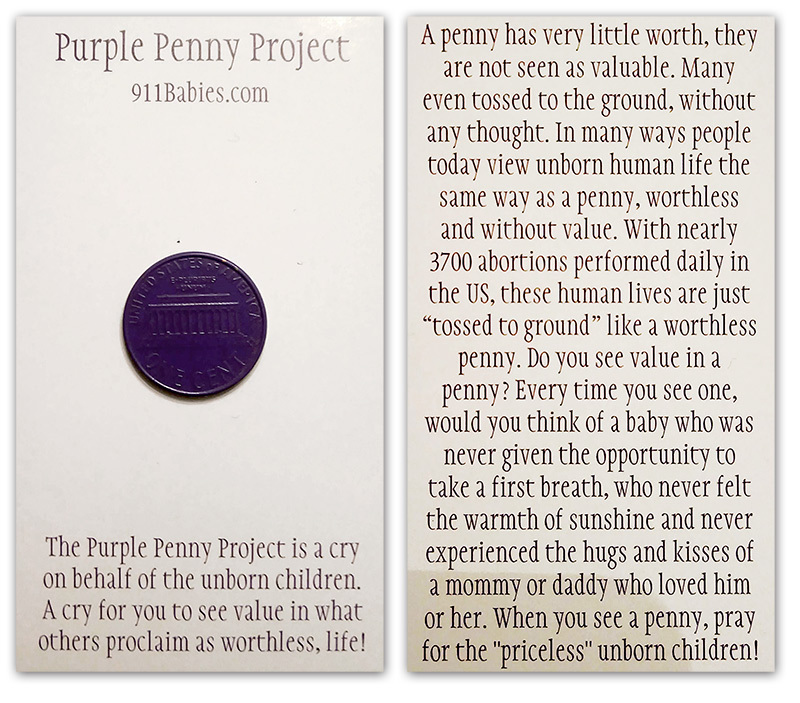 When I spot a penny on the ground, I’m reminded that the supreme God of the universe cares for every human life, small and insignificant as society may deem any one person. Jesus Himself pointed to the penny, one of the smallest denominations in first century Palestine, to convey this rich spiritual truth. As I reach down to pick up pennies from the beaten path of my life, my mind reflects upon this remarkable truth. I’m reminded that every life is sacred and created in the Imago Dei, the image of God as it is written in Genesis 1:27. When I peer down at the thrown out penny, I think about the unwanted and discarded members of the human race among us. I remember the unborn human child and his arch enemy the demon of abortion, who longs to shed his or her innocent blood and delights as their innocent human bodies are ripped into shreds. My heart aches when I reflect on what is seen as worthless and not cherished, trampled upon by many in the human race. It's not much of a stretch to draw parallels between society's diminishing appreciation for the value of the penny. The least of the various denominations of U.S. coins and bills and the culture's declining value for human life, especially the most innocent and weakest among us. American freedom used to be defined in terms of "life, liberty, and pursuit of happiness," but now as our culture celebrates death it about freedom of choice and a right to an abortion. Three fourths of the mothers who choose to kill their unborn babies say it's because they can't afford another child, or that a baby would interfere with work, school, or care for other dependents. The bottom line is our society simply doesn't value human life, but instead many treasure their own selfish quality of life, one with less responsibilities and more freedom. The twisted side of the penny compared unwanted human child is an unborn child with an abnormality such as one with Down Syndrome. Children who are being aborted at an astounding 90 percent rate, the human race has declared it open season on the unborn child who has Down Syndrome. No other reason than they are different from parents' expectations of what a child should look and act like, therefore Down Syndrome is a death sentence for many unborn children. Then you have the penny that is minted with a defect or unique marking, as it becomes something to be treasured, a highly desirable collectible that gains value. The "least of these" represent something fundamental about the value of life and what has been lost in America. It is not an ideal in perspective, but simply the belief in value of the unborn human child and God’s purpose for their creation. God desires us to treasure the unborn child as more precious than silver and more costly than gold. He also desires us to recognize the worth of every human child as a gift from Him, they are His pennies from heaven! Don’t just take these words as my two cents, take them as God’s will for the human race! 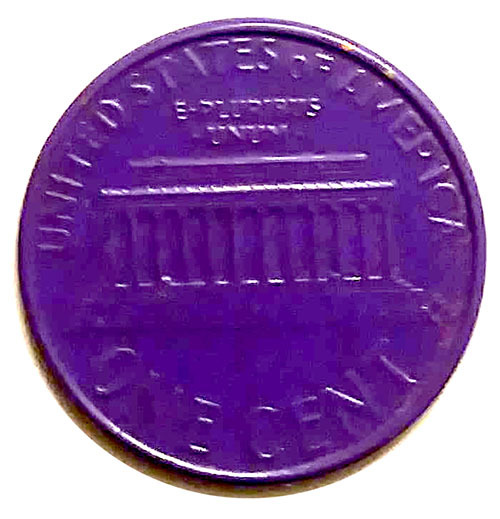 Contact us to find out how you can get your purple pennies. Below is front and back of what you will receive.